another, but both contained a wonderful balance of excellent yoga, guided introspection and great fun. Silvia’s the most talented yoga instructor I know, with the added depth of having a background in professional training and development and a natural affinity for study. 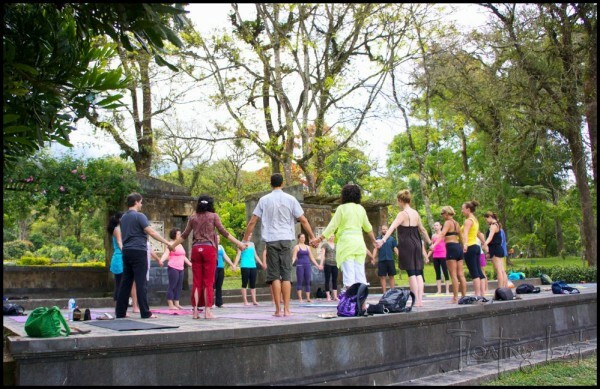 These talents enable her to deliver elegantly constructed retreats where her yoga classes, self study exercises and fun activities are all weaved together over the week to complement the retreat theme. You will be amazingly nourished by a week which will no doubt include incredible food, exploration of the place you’re in, development of your yoga practice, new activities, personal insights and lots and lots of laughter. I can’t recommend joining them highly enough. 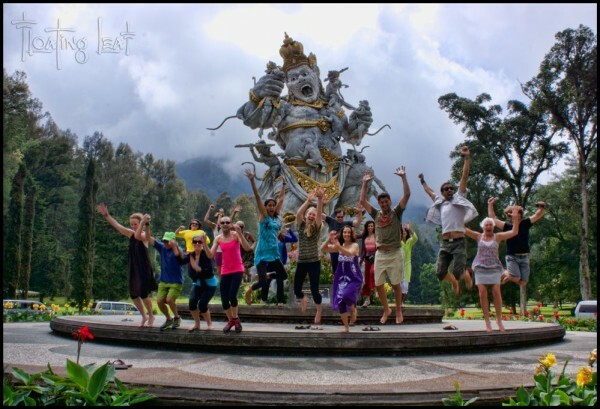 I attended Alchemy Tours’ yoga retreat in Bali, and I can honestly say it was the most fulfilling travel experience I’ve ever had. It was hard to come back to reality, and not just in the typical “I’ve taken much needed time off to relax and it’s hard to get back in my routine” sort of way… But more, going on this trip made me understand that there was a much greater disparity between the potential for happiness in my life and what I considered to be my “normal” state than I had realized – and that they were further apart than they ever should be. To me, the experience with Alchemy Tours can be divided into two categories: vacation and personal reflection. As a vacation, it was amazing. White water rafting through a jungle ravine, a relaxing bike tour through Balinese rice patties, beaches, exposure to local culture, great restaurants and a gorgeous place to stay that our group had all to ourselves. It was just organized enough to feel active without feeling too busy. Previously, I wouldn’t have asked for more than that in a trip, and it was awesome in that way. But the part that really surprised me was the way Silvia’s constant positivity, enthusiasm and no-pressure encouragement would really make me reflect on the person I am, and I began to conceptualize the things I could change to improve my life as a whole. The resort was gorgeous, not your typical overrun Mexico tourist spot but a beautiful, simple, chic bungalow style resort in the jungle and with its own beach. I was skeptical going on vacation with a bunch of strangers but everyone was lovely and I came back refreshed and happy, as evidenced by my yelp profile pic nuzzling a Mexican beach puppy. eating delicious food and perhaps a few cocktails. This trip provided all of the above and more. Alchemy Tours provided us with a ton of information and helped us set up a scuba diving and surfing excursion. They also arranged for the group to give back to the community we were staying in, which was very inspiring. There was a planned group activity every day which was included and optional. Everything was optional without judgement, even the yoga classes. Every activity during the week was carefully planned and extremely purposeful, however, there was no feeling of pressure to do things that were not of interest to you. The yoga was great. As beginner yogi I felt welcomed and confident even though advanced yogis seemed to be enjoying the classes and flows as much as I did. The yoga also varied daily. It was always interesting and I was consistently benefiting in various ways from the classes. 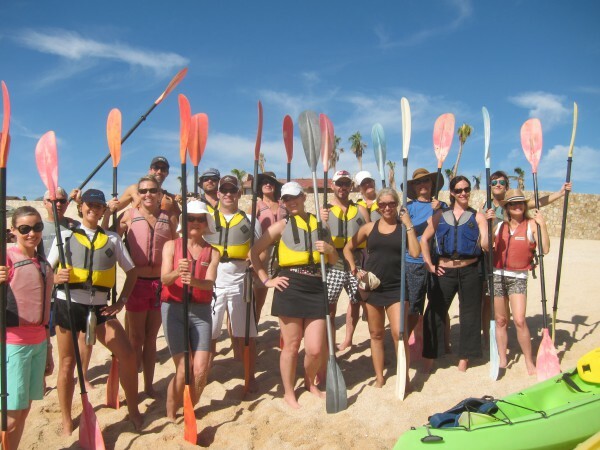 nurturing environment of the resort they chose worked beautifully to create new friendships and a great group dynamic. Expect a great time, great insights and to return home refreshed and with a happier outlook on life with wider possibilities! I really can see the whole course of my life shifted with this trip, and it is completely wonderful. I would not hesitate to recommend a trip with Alchemy Tours! Silvia is the heart and soul of Alchemy Tours, they infuse their trips with tremendous depth and lighthearted joy. combined with their warmth, humor and creative spirits make Alchemy Tours an amazing group to travel with! I will take many more trips with Alchemy Tours! They absolutely rock! group of people who were interesting, friendly, low maintenance, and open to adventure. Perfect balance between challenge and relaxation (wise foresight to bring good beer and not that watered down Utah stuff). This was also a very well organized trip and our guides deserve tremendous credit for leading us on some internal exploration as well as an external journey through stunningly beautiful landscapes. Alchemy Tours: Your expertise is obvious, but your enthusiasm for life is contagious and that is what made this trip really special. Thanks! have the BEST taste in accommodations and always visit the properties prior to bringing guests to make sure everything is in tip-top shape. They put extra focus on fine (healthy) dining and offer a multitude of activities to match anyone’s needs/desires. Oh and I shouldn’t fail to mention that Silvia is likely the BEST yoga instructor you will ever have the opportunity to practice with so that in and of itself is enough reason to make the trek wherever she’s headed. Just expect fun, new friends, beautiful surroundings, and a blissful exploration of self and the world that FAR exceeds whatever you expected! You are one of the best and most inspiring yoga teachers that I have met and practiced with, and I have done workshops and retreats with many very good ones, some quite ‘famous’! I regret that I can’t practice with you at your studio on a regular basis. You have such a gift for teaching and such of depth of knowledge and training, in both the physical and spiritual aspects of yoga. And you clearly embody all that you teach, I admire your sense of peace, calm, and thoughtfulness – you are beautiful inside and out – I want to bring more of these attributes into my life. It was a wonderful group of people, and a big part of the fun. I just loved the country and the Italian people, Ebbio was such a magical place, right in the middle of a magical region. I love these types of vacations, it reinforced my preference to limit all the museums and cathedrals, etc. – they are good in small doses, but I would much rather explore the culture of an area by doing the types of things we did. I definitely want to go on another trip with you, perhaps an upcoming trip to Moab, and wish you the best with Alchemy Tours and all your business activities. Thank you again for a wonderful experience and I look forward to future trips. Silvia is wonderful. I’m not sure if you are totally new to her, but I believe you and your wife will really enjoy them. Silvia has been an inspiration in my life for about 6 years now and I consider myself very lucky to have stumbled upon her studio back then. She is an insightful and loving teacher who has lifted me up more times that I could ever keep track of. The farm house – we stayed at Ebbio, was awesome. It was very charming and beautiful. The atmosphere is so relaxing and comfortable. Our host Franz was also very entertaining and charming. Tuscany, Sienna and surrounding areas – all of the day trips that we did were wonderful. There are so many interesting and amazingly beautiful places. The culture is so enjoyable as well. Everything was amazing, so depending upon your tastes and desires you may wish to add on a few days if possible and see more as well.